This Friday, March 15th, Long Now’s Revive & Restore project, in partnership with the National Geographic Society, are hosting TEDxDeExtinction, an independently organized TED event. To be held at National Geographic’s headquarters in Washington, DC, the event will feature 25 talks about the emerging science of de-extinction. Speakers include practitioners in the field of molecular biology who are developing new techniques to make de-extinction possible, conservation biologists and ecologists who can speak to the challenges of re-introducing extinct species into the wild, ethicists who wonder if we should even attempt such things, and artists who’ve depicted endangered and extinct species in paintings and photographs. Researchers around the world have been working to bring back extinct species, and, in fact, have done so on one occasion already. As this science matures, a robust public discussion can help guide de-extinction practitioners along a path that maximizes the benefits of these new capabilities while keeping ethical, social, and ecological concerns in mind. It can also help educate the public. One de-extinction scenario popular in the public imagination is that of Steven Spielberg’s Jurassic Park. In reality, DNA decays at a known half-life and is completely destroyed after 6.8 million years. Cloned dinosaurs, therefore, are not a realistic concern. But the development of this science in secrecy, as depicted in the film, is. With TEDxDeExtinction and other activities, Revive & Restore seeks to support awareness and public comprehension of de-extinction science and to encourage scientists in the field to work openly and collaboratively. National Geographic Society authors and researchers are also extensively exploring the implications, challenges and prospects for de-extinction on their website and in the April issue of the Magazine. 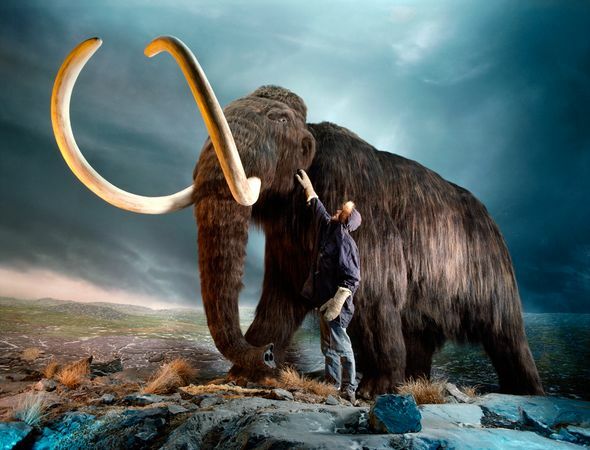 Among the work is a cover story by author and former SALT speaker Carl Zimmer (previewed on his blog, The Loom), an argument against de-extinction by conservationist Stuart Pimm, and a slideshow of popular revival candidate species such as the Woolly Mammoth. Reviving any extinct species will be a difficult and long-term project. It will require the consideration of many human, ecological and technological factors. At Pharyngula, Chris Clarke makes a strong case for reviving the Shasta Ground Sloth, a 400-pound cousin of today’s tree-dwelling variety. Through the example of arguing for a particular species, his essay surveys many of the issues de-extinction raises. TEDxDeExtinction is divided into four sessions: Who, How, Why and Why Not, and Wild Again. It begins at 8:30am EDT on Friday March 15th and you can attend in person, stream it live on the web, find a viewing party to watch with, or wait until the videos are posted online afterwards. We hope you’ll participate in the discussion on Facebook and Twitter. And, for or updates on de-extinction science beyond this week’s TEDx, follow Revive & Restore on Facebook and Twitter.